The three were killed in a fire that broke out when the three siblings were attending a programme organized in connection with Christmas at a local resident’s house on December 24. Sathwika Naik, Suhan Naik and Jaya Suchith who died in the fire accident. 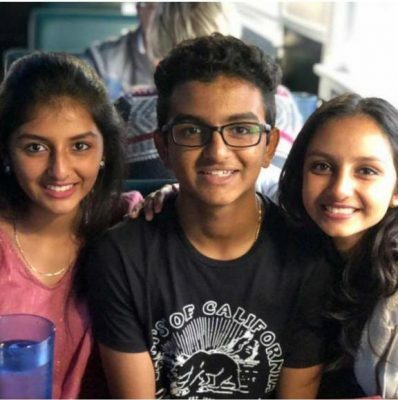 Hyderabad: The mortal remains of three children, Sathwika Sharon Naik Kethavath (18), Aaron Suhas Naik Kethavath (16), and Joy Suchitra Naik Kethavath (14), who died in a fire accident in a house in Tennessee, USA, will be arriving in the city on Friday. A service will be held at the Narayanguda Baptist Church at 11 am after which the bodies will be taken to their native place in Nalgonda district. The funeral will be on Saturday at Gurrapu Thanda village near Devarkonda in Nalgonda district.